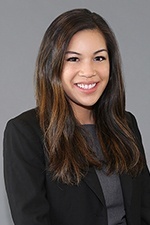 Jenna Nguyen represents insurers and healthcare clients in healthcare and managed care, ERISA and related insurance coverage matters. She also has experience in complex commercial litigation, extracontractual and commercial insurance litigation and insurance practices. Before joining Hinshaw, Jenna practiced for two years at the Los Angeles location of a San Francisco-based international law firm. During law school, Jenna served as a law clerk in the California Attorney General's Civil Law Division. She was also an active member of the Business Law Society, serving as the Vice President of External Affairs. Prior to law school, Jenna also gained invaluable experience as a general intern at the U.S. Department of Justice's Office of the Solicitor General, assisting in legal research and preparing memoranda for cases to be heard before the U.S. Supreme Court.